Here's a fun stocking stuffer to snag now! 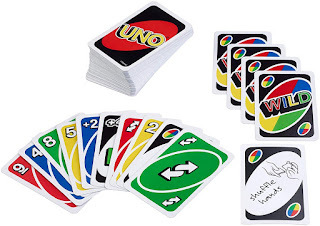 Right now Mattel Games UNO Card Game is $4.99 when you clip the $1 coupon. ♦Write your own rules for game play with the Wild Customizable cards!